From the "All Teams" page, now you can browse to see all the goals across your organization. Use filtering to find goals based on status, leads or due date. More than five KRs on an Objective are handled with a better overflow mechanic. The goal icons have been improved... at least we think so! Fixed: archived goals didn't appear archived until after a page refresh. Now you can link Objectives to other Objectives to better represent how goals are related and aligned. Click on an Objective to display the new fly-out view and easily navigate between goals. You'll now see new goals without having to refresh the page. You'll no longer see error messages when trying to print pages from Koan. You can now link KRs to Objectives outside your team. Your company's homepage is the perfect place to share your mission, vision, and top objectives. Learn more. We've fixed a bug where a manager's feedback page could break after someone was removed from the team. We've fixed a bug where team managers weren't able to change their own roles within the team. Employees in your company can now sign into Koan from your existing OneLogin portal. Learn more. You can now import your past work into overdue reflections. We've fixed a bug where submitted reflections could be shown "incomplete" in some parts of the app. We've fixed several navigation issues on mobile web. We've fixed a bug where specific circumstances could prevent us from saving changes to goal status. We no longer cut off letters' tails, loops, or descenders in the sidebar. Fixed: the UI not immediately updating when goals in your goal list were reordered. We've improved rendering performance throughout the app. We've fixed a variety of layout issues on mobile web. 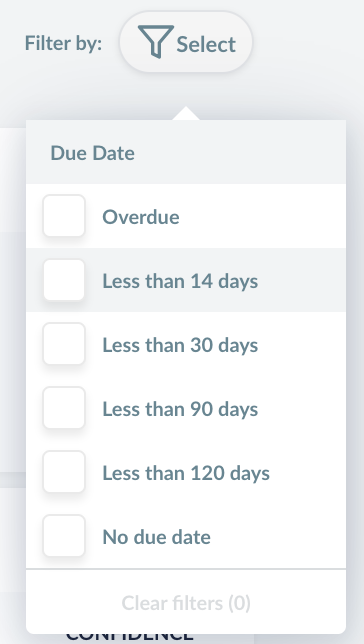 You can now toggle due date & description from stoplight prompts. Fixed: a rare bug could clear goal elaboration text when goal ratings were changed. Fixed: goal updates in Slack now link to the correct URL. We rebuilt the experience of rating goals! 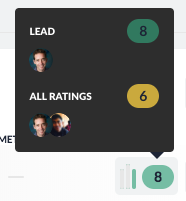 They're grouped by Objective, and you can now update metrics in-line and switch between your goals and the whole team's goals. Now link goals more easily using a type-ahead search dialog. It's now possible to remove users from a team, even when they only belong to a single team. Improved display of Objectives on the team home page, including adding a "Show All" button if there are more than three goals / OKRs. Really long goal / OKR titles are now handled better. Fixed: there was a rare bug causing error messages related to tooltips. Fixed: displaying goals on mobile web browsers had some issues. Fixed: archiving or deleting an Objective will now archive all the related Key Results. We've also improved archiving and deleting behavior overall around goals. Now you can delete teams directly inside Koan. When you're writing a reflection and belong to multiple teams, now you can pull in your reflection data from those other teams. From the All Teams page, now you can access a public page for each team. Public pages include team members, description and all of the team's publicly visible goals. Speaking of visibility: if an objective or goal shouldn't be visible outside your team, you can now mark it as private. See the support documentation for full details. Your goal or key result's primary confidence score will now be driven by whoever you designate to lead it. The average ratings from everyone and additional data are visible as a hover-state or by clicking through to the goal details page. Loading pages is now quite a bit faster and to celebrate we're debuting a new loading animation! OKRs are now the default goals framework for new teams. We rebuilt our authentication code to be more robust and configurable. One of the primary improvements you'll notice is being logged out less often. Fixed: clicking the navigation elements from mobile was not working properly. Fixed: goal contributors couldn't previously be made leads. On the goals page, use the new tabular view for a sortable list of all your goals or key results. Want to see all the key results that are "at risk"? Just click the Confidence column header to sort by that field. We made some minor improvements to goal metrics when API support is enabled. Now the list of optional goals you can rate in your reflection is sorted. Now you can set an explicit list of who on the team will be asked to rate progress on a goal. Stop manually updating goal metrics and instead push data directly into Koan from your back-end systems using our new API. As part of the new Company Edition of Koan, you can now enable Okta for logins. We replaced the sparkline with a histogram to improve the visualization of a goal's history. Now you can see the last time a goal metric was updated. We've fixed a bug where the last goal rating you added to your reflection may not have been saved. We've made goals' appearance more consistent across the app and in Slack. We now recommend relevant goals for you to tag while reflecting on progress and priorities. Accomplishing your tough goals takes leadership and accountability, so now you can explicitly set which team members are leading a goal. Note: as part of data migration, whoever created the goal originally is shown as the lead. We re-built and improved the goals insights view! Several bug fixes and improvements to goal metrics. Teams with large numbers of goals or OKRs now have a better attribution (flagging) experience… though we have more work to do! Fixed: if "opt-in" mode is set for a goal, now the lead(s) are pro-actively asked to rate the goal instead of the goal creator. Now you can associate metrics with goals and then manually update those metrics anytime. Goal names and descriptions can now be longer. We improved how goals are displayed on mobile web. Fixed: many minor bugs around goals and OKRs. Now you can turn on OKRs (Objective and Key Results) in Koan as your goal framework. Non-OKR goals/initiatives/projects, etc. can now be organized into named groups. Many additional improvements to goals are coming soon! beta We improved the ability to edit your Check-in schedule. Fixed: we were sending some reflection notification emails even if you had opted out. No longer! We'll now tell you why a credit card payment fails instead of showing a cryptic error message. We improved sidebar navigation on mobile devices. The process of creating new teams inside of Koan got some fixes and improvements. We added a new reaction option to recognize the funny moments that sometimes happen in your team. Fixed: there were several cases where editing your reflection could generate spurious warning messages. Fixed: goals that you had previously rated weren't automatically showing up again to be rated the next week. For those of you that like to keep your browser tabs open a looooooong time: now we'll let you know when there's a new version of Koan and it's time to refresh. 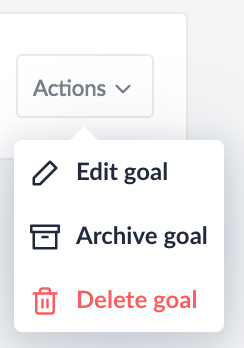 We've made it easier to archive goals, and now provide an option to permanently delete them. Now you can manage your Koan subscription in team settings. We can't wait to bring you additional great paid features in the near future! Fixed: the logout button wasn't working on mobile devices. Fixed: the goal date selection UI was in some cases hidden behind the Save button. We improved the behavior when clicking around in goal confidence charts. beta Check-ins now support up to 3000 characters. beta We dialed back the number of @ mentions you'll get as your team does their Check-ins. Now all emails include an un-subscribe link. It's also possible to adjust your notification settings inside the Koan. Archiving goals is now a lot more straightforward! Fixed: several layout issues and other minor improvements on mobile devices. Fixed: completed reflections were shown as "late" in some cases. Fixed: for teams with more than four goals, it wasn't possible to select them all for attribution. Fixed: it wasn't possible to upload screenshots in the customer support chat window. Fixed: in some cases it wasn't possible to edit a reflection even when it should have been. We made a second round of changes (dare we say improvements?!) to navigation. Now to author reflections, navigate to Reflections > My Reflections. There's also a mini-nav bar available for quick team switching. We fixed several bugs that could occur during creating new teams. Fixed: in some cases, the same goal could show up twice when authoring a reflection. We've made sign-in easier for mobile web users. There's now an "Add Team" button on the All Teams screen. It's springtime, plus time to launch the product! To celebrate, we did a first round of freshening up the Koan user experience. Now you can enable a periodic team retrospective to assess and improve team health. We made many improvements to the mobile-web version Koan! Now you can configure your team's timezone during team creation as well as in team settings. We improved the on-boarding process to make it easier to get started with Koan. Creating new teams in an existing organization is now more robust. We improved the user experience of attributing work to goals, plus will remind you before submitting your reflection if you forgot to attribute any work. Fixed: reactions on Windows now work more reliably. Fixed: it's no longer possible to submit very late reflections, which should help prevent submitting data for the wrong week. 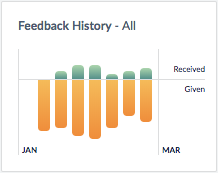 The feedback chart now shows more history with a more exact date range. Profile fields can now be un-set. Fixed: expired welcome emails would send you to an error screen. Fixed: deleted teams were appearing in the "all teams" list. Fixed: goodbye "undefined" -- notifications will now use your email address if your name isn't set. All the feedback you've given and received is now gathered in one spot, including a handy visual summary. Based on feedback, we've re-done the rollup process to use a more flexible approach. It also enables rollup between more than two layers of teams. 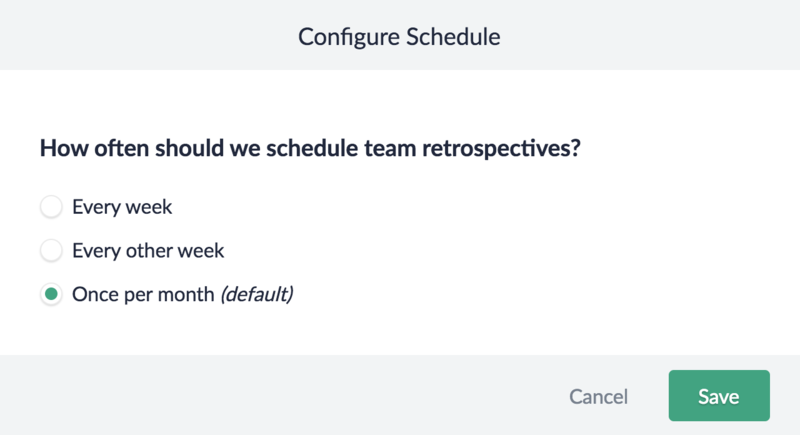 Now managers and team admins can configure the team reflection schedule. Now it's possible to add new teams inside your existing Koan organization. When creating a new team, now you can delay the start of your team's reflections for a week. We'll now try to automatically import your organization's name and logo during initial setup. Fixed: there was a scheduling issue for teams created during Daylight Savings time. Fixed: weekly summary emails had incorrect sentiment data in many cases. Now you can upload your profile image directly in Koan! There's a new welcome screen for users who are invited to a team. Managers or admins can now pause notifications in team settings. Fixed: the word "goals" was hard-coded in several places there was meant to be flexible terminology. Fixed: it wasn't possible to retire child goals. We continued improvements for brand new teams with some new signup and on-boarding experiences. Now you can edit your profile (editing your profile image is coming very soon). Fixed: there were problems with observers being able to sign in. New team? Koan is now much friendlier and more helpful when your team is brand new. Now we'll hide hide child initiatives inside of a team until the parent initiative is expanded. Fixed: now managers can change user's email addresses. Fixed: check-in manager's focus content can now be re-used. Fixed: archived users are now hidden on the "All Teams" page. Fixed: default avatars from Google no longer over-ride Koan default avatars. Fixed: linked goals can now be retired. 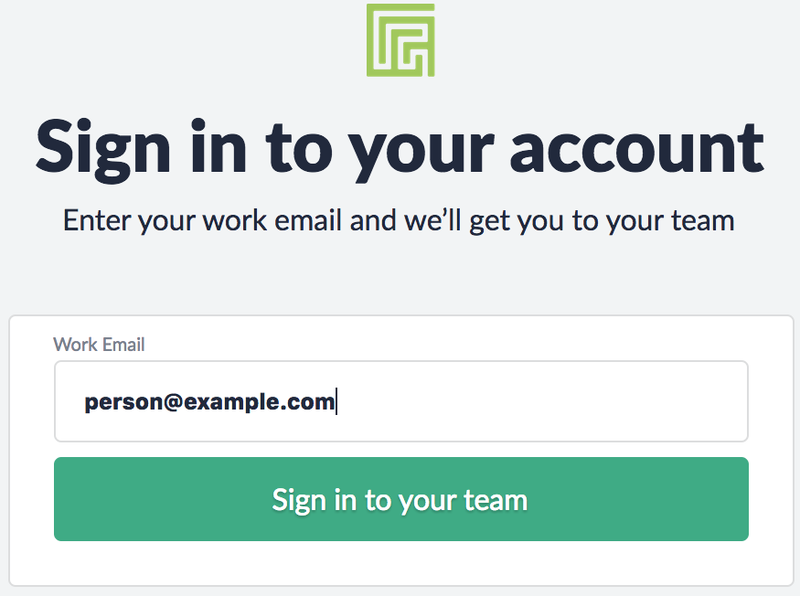 We've redesigned the experience of finding your team when logging in from koan.co. Now simply use your email address to find all the teams you're a part of. Now initiatives can be linked in parent/child relationships inside a team, not just between linked teams. Fixed: there were issues editing in-progress private notes as a manager. Fixed: adding reactions to custom questions and the summary section was not working correctly. Fixed: checkins summaries now show the correct day. Checkins notifications now include the priorities and concerns from the previous day. Now it's possible to view all the teams in your organization using the new "View All Teams" button in the sidebar. Invitations to Koan now have a much more generous time-out period before expiring. We've also made it possible to send yourself a fresh password reset request if it does expire. The profile page is new and shiny! We have more updates for it planned in the near future as well. Fixed: re-ordering goals was failing in some cases. Private feedback from managers is now accessible from each reflection. The first version of Checkins is here! Checkins provide a simple way to have daily team stand-ups in Slack to help remote teams stay connected. This beta feature can be enabled by connecting Koan to your Slack team channel. The initiative details page now shows related parent and child initiatives from other teams. Now everyone (not just managers!) can share their reflections using the share feature. We've improved the manager acknowledgment feature to make it easier to provide great feedback. It's now easy to change your team name using the "Team Settings" page. Hint: emojis in team names work. Terminology customizations are now immediately reflected in the sidebar. Fixed: previous priorities were not being removed from the list after being marked as completed. Now initiatives can be linked together between teams in parent/child relationships. You can set initiatives relationships when creating or editing them as long as you're a member of both teams containing the initiative. We're excited for this foundational element and have lots of associated visualization and insight improvements planned for the future. Now terminology changes can be set for each team, instead of organization-wide. So, one team at your company can use "initiatives" while another can use "goals". The team configuration page now shows related teams and lets you edit team relationships. Amplify the value of Koan and tap into org-wide insights by using it across multiple teams. 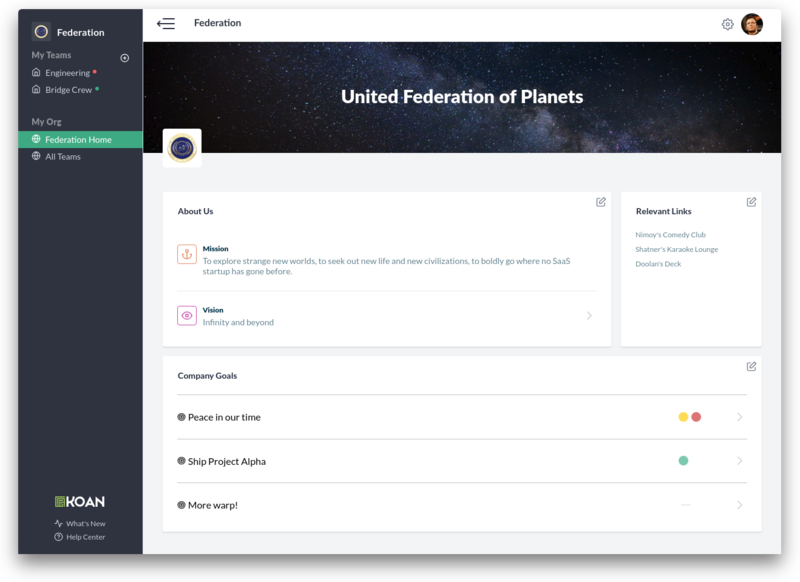 Now teams can be linked so that a manager can aggregate the progress, priorities, problems and goals of their team and provide a summary report to their manager's team. Fixed: several rare cases that could cause page errors. Improved the error page by making it possible to flush all data and re-login. We made many improvements to team administration, including how you add new team members. Fixed: several minor text editor issues. Need to quickly poll the team about where the next offsite should be or have an async retrospective after a major milestone? We've made it easy for managers to ask questions for only the current reporting period. We've also improved recurring questions by making questions reorder-able and by making changes apply immediately whenever possible, instead of only to the next reporting period. We've re-built the configuration area of Koan to make it easier to navigate and use! Fixed: manager email notifications contained a bad link. This week brings major improvements to how you navigate your content in Koan. We've introduced a brand new sidebar and a "Hansel and Gretel" top bar, housing breadcrumbs, and the most important actions. In the near future, the new sidebar will contain additional capabilities for individuals and multi-teams. We are excited to share more with you soon. Fixed: selecting a GIF on Firefox was similar to the Whac-a-Mole game you played as a kid, popping in and out and making it difficult to select your desired GIF. Our sincere apologies. Fixed: in some cases while authoring a reflection, there would be two with the same date. Fixed: retired goals no longer show in Reflections when rating goals. Fixed: in certain cases, if you hit an error, the page would refresh and reload multiple times. We brought the date navigation back to the homepage, making it easier to cycle through reporting periods. Reflections will update in (almost) real-time, without refreshing. Lessened the frequency of users encountering the "Your reflection has been updated" pop up. Now multiple teams from the same organization can be deployed on Koan (sharing the same organization domain). Each team will only see their own data and configuration options. Fixed: in some cases, completed previous priorities would become unchecked. Fixed: retired goals no longer show up on the homepage. Fixed: previous priorities now show up in the correct weekly reflection. Fixed: you can now ask your team multiple custom prompts of the same type. Several layout improvements, particularly with the goal details page. We've simplified the layout, making it easier to read through team assessments, work and concerns. It's been a few weeks without big new features because we've been hard at work on foundational changes that will let Koan work for your whole company and not just your team. We can't wait to begin delivering great new stuff in the coming weeks! Fixed: checking off previous priorities (and a few other cases) could result in an error message about editing your reflection from multiple locations. Fixed: now it's possible for managers to rollup past-due reflections. The navigation header and a few other UI elements have been refreshed to get ready for bigger upcoming changes. Now we'll detect when you have multiple Koan tabs open and will warn you when you've made changes to your reflection in one tab that need to be refreshed in the other. This should correct many data loss cases. Fixed: in some cases the read-only version of a rolled-up report wouldn't load due to session issues. Fixed: as a manager, team sentiment entries could become un-checked for sharing while editing a reflection rollup. "Roll-up" functionality got more great improvements! Now we include a more elegant way to pass along the elaborations on goals for your team. We also fixed a bug with sharing older updates. We fixed some rare cases where your Summary answer could get erased after submitting your reflection and during subsequent editing! When viewing an initiative, changing the filter will now update the chart display. We made several improvements and fixes to the "roll-up" feature: reading rolled-up reflections on mobile devices is greatly improved, we fixed a bug with sharing via email, and we improved the UX of selecting items from team members' reflections to include in the roll-up. Now you can rename the "Summary" feature to better match your team's personality (Configure/Customization). We hope most of you choose "TL;DR", but that's just us. Weekly reflections more than a week old can no longer be edited. However, it's now possible to easily read old updates while authoring your current reflection. Fixed: clicking "Reflections" link in the top menu wouldn't always take you to viewing the right data. Fixed: @mentions and emoji weren't working when replying to comments. Fixed: we no longer send notifications to archived users. Now everyone on the team can quickly summarize their week plus optionally add a gif using Giphy. It's fun, for realz. We improved the experience of creating new initiatives, including the ability to choose a custom flag color. The initiatives details page has an updated look, plus the ability to view the (new and optional) description, a link to edit the initiative, and better handling of long initiative names. Now anyone can edit initiatives, not just managers or admins. We now provide a warning when attempting to author a weekly reflection from Android. Unfortunately, the experience is rather broken at the moment and we're investigating medium-term workarounds. Fixed: looking up team names while logging in from koan.co was broken in some cases. Fixed: the text input when providing details about an initiative's progress was single-line instead of multi-line. Fixed: a nasty bug in Firefox where some text data could be erased after attributing an initiative. The "flagging" behavior of attributing work to initiatives has a new, bolder (and we think improved!) look. Fixed: in some cases, the reflection schedule in configuration would display "null" (Configure/Schedule). Fixed: when reading others' reflections, @mentions and links weren't properly displayed. We improved the behavior of auto-focusing text elements in several areas. The UI now scales to larger teams more elegantly (20+ people). Fixed: pasting bullets from external editors wasn't working properly. Fixed: clicking the back button after logging into Koan could cause a re-direct loop. This week brings our second wave of improvements to the authoring experience! We implemented a new text editor that provides a much stronger foundation and we hope you'll enjoy the improved speed and many bug fixes. You can also try out @mentions, URL handling, inserting emojis using the ":" character, using "shift-enter" to insert blank lines and navigating between questions using the [Tab] key. We have lots more improvements that we plan to deliver soon! Admins can now remove users that are no longer part of the team (Configure/Team). Now admins can view the schedule for weekly reflections (Configure/Schedule). We've improved default avatars so that they appear more consistently, work better in smaller formats, and show up properly in emails. We improved the process of "rolling-up" the team's assessment of progress towards initiatives for managers in their own reflection. Fixed: changing "initiative" to "goal" or another noun in team configuration is now immediate. We're excited to ship the first wave of some major improvements to the authoring experience! Now you can fill out your weekly reflection on a single page instead of having to click from question to question. Fixed: we stomped out a nasty bug where some of the content in weekly reflections could get lost during editing, particularly when on mobile clients. Page rendering is faster across the whole app, and in particular on the initiatives page. Default avatars are now much nicer for teams using Google SSO. Fixed: the due date for reflections was off by a day. Fixed: now retired initiatives are viewable even if no current initiatives are defined. Fixed: there were several issues with the weekly summary email, most importantly some cases where it would send the previous week's data! Share the status of your team with others! Managers can now enable the "rollup" mode for the team in configuration settings. When enabled, managers can select items from team members' weekly reflections to quickstart their own. Managers can then share their summarized reflection with others via email or a secure link. This is a first, early cut of the feature and we're excited for feedback as we continue improving it in the coming weeks! We improved the password reset user experience. We added a tooltip hover for initiatives. Fixed: the due date shown for weekly reflections is now correct. Fixed: there were a few small places where "initiative" renaming wasn't being applied. Now managers and admins can drag-and-drop re-order initiatives to highlight the ones that are most important. And because each team is different, you can now rename "initiatives" to "goals", "objectives", "deadlines", "projects" or "milestones" and have that language reflected throughout Koan. Now everyone on the team will get a notification when a team member submits their weekly reflection. Fixed: we had some bad links in the weekly summary email. Fixed: welcome emails now work for teams that have SSO enabled. Fixed: some default avatars were creeping out of bounds.Fixed: some default avatars were creeping out of bounds. Fixed: you're no longer required to enter concerns if you have none! Forever alone no more! Now you can @mention people in comments and they'll receive a notification. We'll be bringing mentions everywhere else covfefe. Fixed: there was a pesky bug with SSO logins due to us doing a case-sensitive check of email addresses. We improved charting of initiatives for cases when no ratings were made. We really love the initiatives details page, so we made it even better: charting is improved and we added the ability to navigate from week to week. User administration and creation in the configure screen is improved. We said it last week, but it happened again this week: lots more mobile web improvements! The initiatives details page has a fresh new look, the ability to filter data by user, and also displays the qualitative assessments that users provide on the initiative. Initiative names now appear next to the flag icon in some additional places where that's helpful. Lots more mobile web improvements! The home page has a brand new look to help you find the most relevant information faster. Use the the new dashboard linked in the header to view a summary of all initiatives. Authoring just got a whole lot easier; now there's a better UI for filling out a weekly reflection after it's due, you can now see previously authored reflections, and now it's possible to edit after you've submitted. Managers can now edit initiatives. We made copious mobile web improvements. Now when you rate an initiative, we'll tell you if your rating is up or down from last week. Initiatives that you rated last week are now automatically proposed for rating in the current week. We've added more flag colors so that it's easier to tell initiatives apart. Get a birds-eye view of whether your team is on track to hit its most important initiatives or goals: now you can click an initiative while reading a status update to see a detailed summary. 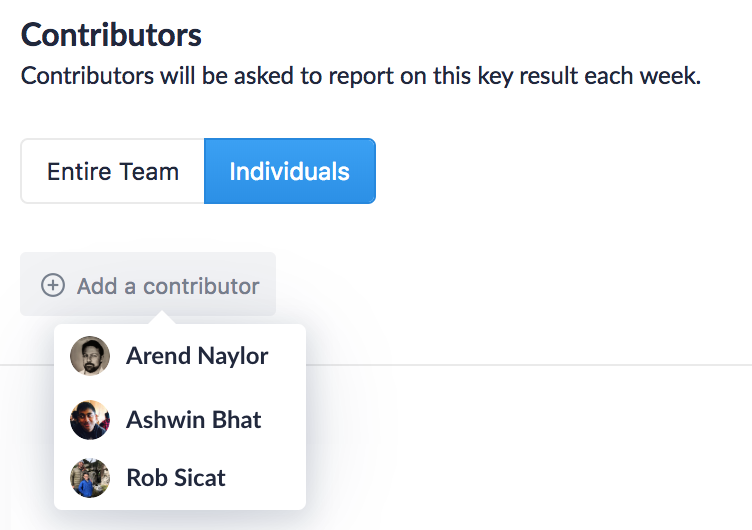 Now you can configure multiple administrators for your team. Admins have the ability to configure questions and all other team settings. When rating whether an initiative is on track, now you can type notes to share details. When you report on an initiative, we'll show you if your rating is up or down vs. last week. Now we remember which initiatives you rated last week so that it's easy to provide an update on them in the current period. When reading statuses from your team, now you can click your own avatar in the user bar to fill out your own status even after its past-due. We added auto-save for all additional question types; anytime you write something, Koan will do its best to make sure it doesn't get lost! Now you'll get a warning if you lose your internet connection and the data you're typing can't be saved. Previously, the weekly summary email was only sent when the entire team completed updates. Now you'll get it the day after the update period ends no matter what. We've made it easier to catch up on your team's updates by changing the user bar experience. Fixed: attempting to edit a long status update on the review step wasn't possible due to button layout issues. We further improved our auto-saving logic, though there's still more work to do! We won't stop until there's less a chance of losing data than there is of being killed by a shark (1 in 3,748,067, for the curious). We applied some serious performance optimizations to the status update authoring process. Long status updates and non-Chrome browsers get the biggest boost in typing and editing speed. Many of you told us that you like to keep your own log of what happens during the week in your favorite note taking app. To support that workflow, you can now paste groups of bullets from other apps directly into Koan. We now auto-save as you type much more aggressively so that it should be nearly impossible to lose your progress if you decide to close your browser window and come back later. We made some minor improvements to the email notifications so that it's easier to keep track of what's going on. Any other typeface aficionados out there? We're now using the Lato font through the app. We’ve baked three questions into the product that we believe are important concepts for every team to reflect on: 1) the important things that got done, 2) key upcoming priorities, and 3) blockers / areas you need help. Most importantly, Koan knows what these questions mean, which unlocks our ability to do much smarter things with the data. You’ll notice some big user experience improvements as you use these new questions week to week and we can’t wait to unlock their full potential. Things happen, and sometimes you need to fill out your status update after it's due. Now Koan will let you choose between filling out last week's late update, or your update for the current week. Fixed: team name lookup was incorrectly case-sensitive on the global login screen. We re-designed how questions are displayed so that when you have larger blocks of text to write, there’s some more breathing room. Now we’ll tell you when we’re auto-saving your status update… and yeah, it’s saving constantly, so feel free to leave anytime and come back later to finish. Now you can chat with us inside the app to report bugs or ask questions. Your feedback is welcome! For users without a profile picture set, the anonymous gray avatar was pretty confusing. We’ve improved default avatars, plus added tooltips to make it clearer who is who. We improved the display of status updates that aren’t yet complete or that never got filled out. Based on feedback, we made the warning email that you're about to miss the status update deadline a lot clearer. Now it’s possible to click your own avatar in the user bar to complete your status update. Not all news from your team is good news, so we added a reaction to show your empathy. The like button is so 2009; now we’ve made it possible to react to your team by giving props, agreeing, loving or celebrating. It’s a start, and we’ll consider increasing the palette of options over time. We've also added the ability to react to comments. Now you can reply to existing comments to create a threaded conversation, and everyone in the thread will receive notifications when new replies are made. We’re celebrating March Madness at Koan: each time you log in through April 3rd, you can see a coaching quote that inspires us. We’ve added more choices to the “Your Week in GIF” question. We’ll continue improving the feature until it achieves the goal of being fun and valuable! Or if that fails, we’ll kill it without mercy. The profile page has been long-neglected, but we made the first of our planned improvements with a larger avatar image. Fixed: in rare cases, logging in would send your browser into full-on freakout mode (more technically known as an infinite loop). Fixed: a few places in the app and in notification emails displayed incorrect reporting period labels. We hate having to create new passwords just like you do so we’ve rolled out the ability to sign in with Google if your team is a G Suite customer. We’ll be adding additional identity providers over time. Some larger teams are starting to use Koan, so we’ve made some user experience improvements for them. You can now easily view and edit your responses to all questions before submitting your update to the team. Express yourself! At long last, you can communicate how your week went with a GIF using the new “gif” question type. You’ll now get an email when someone reacts to your content. We’ve added the ability to merge and split bullets using the handy [delete], [backspace] and [enter] keys on your keyboard. We’ve worked hard to make creating your status updates on the go even easier. Improvements include a complete re-design of the list question type, better keyboard behavior, a new toolbar icon that makes it easy to start or edit your status update, and many bug fixes. We made it faster and easier to write your status update in the web version as well! The list type has a new design (yay bullets! ), as well as lots of bug fixes. Some call it “likes”, we call it “reactions”. In any case, it’s an awesome way to quickly recognize the great work of other team members. We quashed a bug that was causing annoying scrolling behavior when filling out a status update with large amounts of list content. Eating still-raw features can be bad for your health, so we’ve taken the half-baked “primers” concept out of the oven. We hope to bring it back later. Users are now correctly sorted in order of status update submission time in the status navigation bar. Observers are a new optional type of team member; they’re able to read and comment without being required to create their own status updates. Added the ability to sign in to your team from the koan.co website. When you’re not quite ready to send your status update to the whole team but want to save your progress, there’s a new “Save as Draft” option. It’s now possible to edit list responses instead of only being able to delete them. You’re a novelist in training? We’ve got your back, as text responses can now be 10x longer. We had one image being served via http instead of https, which caused browsers to not show the Koan app as fully secure; fixed! Also note that at all times your data was fully encrypted in transit. Buckle up and engage the flux capacitor. You’re now able to navigate back in time to read previous status updates. Hover over an avatar to see details about the team member’s status update. We’ve done an initial round performance optimizations and page loads are much snappier. We’ll continue performance improvements in the future. Fixed the app crashing when using Safari private mode. Improved the email notifications: more of them include the reporting time period in the subject and we fixed an embarrassing “his” vs. “their” typo. Improved viewing status updates using the mobile web version of the product.